The news of the launch of the English version of ‘Mahasupawansaya’ – ‘The Great Chronicle of Sri Lankan Culinary Art’ – by Master Chef, Dr. Pabilis Silva, made me go back to the days when I remember my mother using the ‘Dinamina Supa Shastraya’ – Lake House publication. My father had bought a copy in 1936 – the second edition of the book, six years after its release. Lake House had published the Ceylon Daily News Cookery Book in 1929 – arguably the first book on cookery. The Sinhala version was released the following year. Both books had been reprinted several times due to increasing demand. The number of recipes increased with every edition. 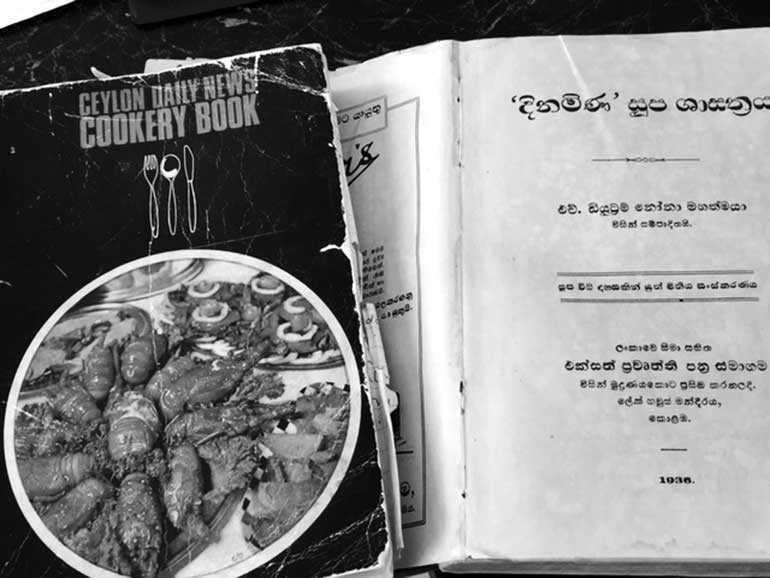 It was nice to see my mother’s copy of the Sinhala book still doing the rounds with the third generation having it more as a souvenir than for actual usage for cooking. The Editor of the original edition was Hilda Deutrom. It had first appeared as a slim volume (7½”x5”) of 36 pages with 700 recipes. The revised and enlarged second edition, issued five years later, had 300 new recipes making a total of 1,000 recipes – “each one tested by the Compiler” – running into 456 pages. The third was an enlarged edition comprising 440 pages and Mrs. Marcus Rockwood had assisted in compiling it. Published in the D.R. Wijewardene era, it had been an innovative idea for the books to be titled using the names of the two morning dailies published by Lake House, possibly as a promotional tactic even though they were the only newspapers at the time. The cookery book had been introduced as “a serious attempt to aid the housewives of Ceylon to practise the art of cooking so that, like the quality of mercy, the preparation of palatable dishes will bless her that gives and him that takes”. These cookery books were the only ones available for many years until new ones began appearing when more and more females took to cookery seriously. Cookery classes soon became the fashion and a few of those who conducted classes became quite popular. 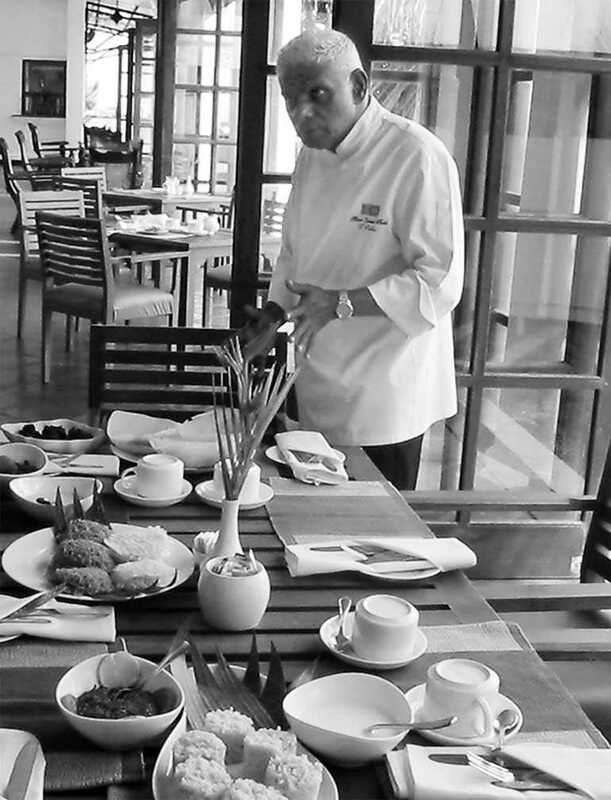 In recent years the name synonymous with cookery in Sri Lanka has been Dr. Pabilis Silva who been with the Mount Lavinia Hotel for over six decades, and is presently Director, Culinary Affairs in the Hotel. He has written 16 books and promotes Sri Lankan food at international culinary exhibitions. I met him a few years back and spent a morning with him to write a feature for ‘Serendib’. The amiable Master Chef took me round explaining the culinary activities in the hotel. Having got recognition with an Honorary Doctorate a few years back, he was conferred with the title Deshabandhu last year by the President.